The UK has some of the smallest homes in Europe and households literally struggle living space. Rising house prices have made it difficult for homeowners to buy bigger properties, so moving out is not an option. However, increasing the space in an effective way is. Instead of moving out, you can move up. You can convert the upper floor into a comfortable and functional living space. Loft conversions are the easiest way to add space, especially when an extension is out of the question. The square footage gained can be used for any kind of purpose. 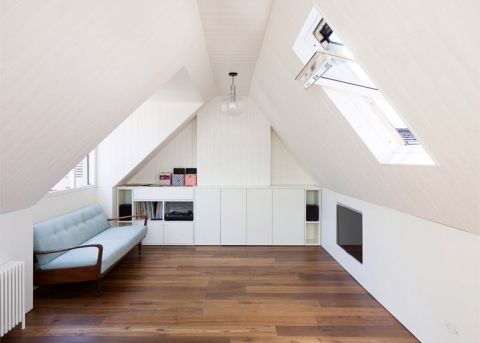 You can convert your attic into a bedroom, games room or even a gym. Before you hire loft conversion specialists London, you need to know the following facts. You may be tempted to do the work on your own, but the smart thing to do is hire the eservices of trained professionals who have experiences with such tasks. A home improvement project of this type is neither easy nor painless. On the contrary, it is a complex undertaking. Companies work with architects, not to mention that they can complete the project in half the time you would. The procedure is nothing like remodelling or extending a building. Contrary to popular opinion, not all lofts are suitable for conversion. You need to start by determining whether the room on the upper floor can be used for living accommodation. What you will need to check is the height. Stand up and see if the attic is at least 2.3 meters high. It is better, though, to measure from the bottom of the ridge timber to the top of the ceiling joist to be sure. Equally important is to consider the pitch angle and the roof structure. A pitch from 30 degrees plus is okay and regarding the roof structure, structures found in pre-1960 houses are the most suitable ones. When a significant property alteration is involved, it is necessary to get building regulations approval. Otherwise, you cannot modify the building as you wish. This is surprising considering that loft alterations in England do not normally require planning permissions, but they are necessary for complex undertakings result in altering the space beyond its limits. The design needs to be approved for structural stability, fire protection, escape window, etc. Once you get the permission, you can start your renovation project. Loft conversions do not only ensure stylish living, but also they add to home value. As a matter of fact, transforming your empty room on the upper floor into a functional space can increase your property’s value by about 22%. The more usable space your home has, the more its value increases. While this is not reason alone to hire loft conversion specialists, it is certainly encouraging. What is certain is that a transforming the room on the upper floor into a functional space is a worthwhile investment.